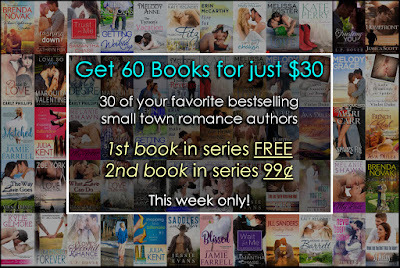 Bea's Book Nook: Small Town Romance Sale - 60 Books, $30!! 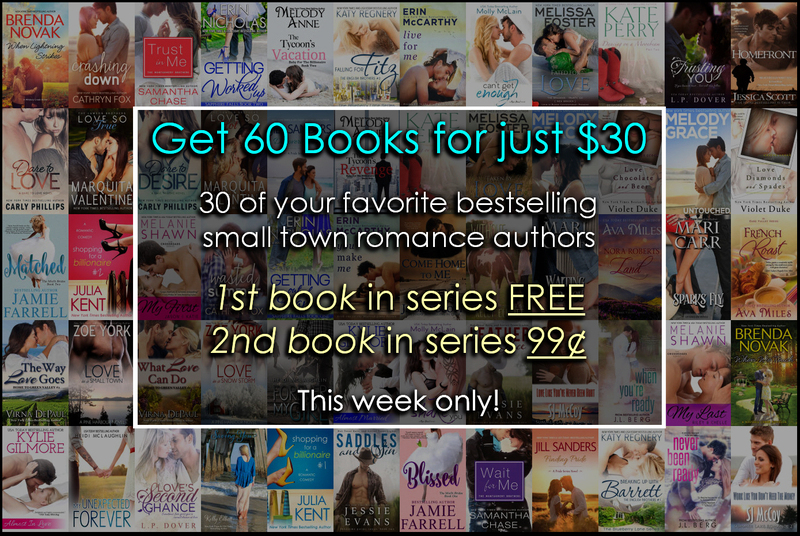 Small Town Romance Sale - 60 Books, $30!! If you're a lover of small town romance or are looking for the perfect place to start, you do not want to miss this sale! 30 authors have come together with an incredible sale. Find out more about the books and get your hands on them here! Melody Anne JL Berg, Mari Carr, Samantha Chase, Virna DePaul, LP Dover, Violet Duke, Kelly Elliott, Jessie Evans, Jamie Farrell, Melissa Foster, Cathryn Fox, Kylie Gilmore, Melody Grace, Julia Kent, Erin McCarthy, SJ McCoy, Molly McLain, Heidi McLaughlin, Ava Miles, Erin Nicholas, Brenda Novak, Kate Perry, Carly Phillips, Katy Regnery, Jill Sanders, Jessica Scott, Melanie Shawn, Marquita Valentine, and Zoe York.